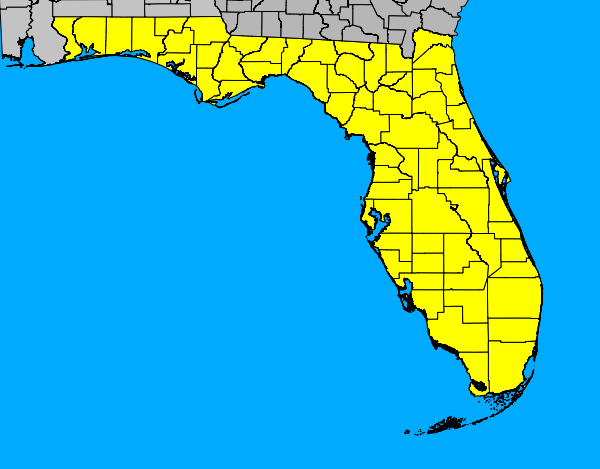 View Sinkhole Maps of Florida, by County. Click on the county in the map below that you wish to see a sinkhole map of. Within these pages, I am performing some GIS tasks about the Karst Sinkholes in Florida. After seeing the news about the 100 foot-side sinkhole that had opened up behind a house in Windermere, Florida, I decided to see what was available for historic sinkhole data and started developing this webpage, complete with a time-lapse video of the historic locations of the sinkholes. Copyright © 2011-2017 by , All Rights Reserved.